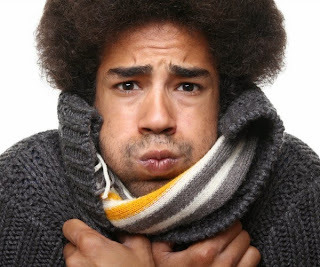 Have you noticed one thing very amazing, your body starts shaking during cold. Have you ever noticed why this happens. If not, your decision by clicking this link makes you informative and makes you able to show off the knowledge you gonna know. Lets come to point. Shivering also called rigors or shuddering.it happens in the response of hypothermia (a condition of body having low temperature).when there is cold our body sensors (reflexes) triggered to order homoeostasis (a process to make body in equilibrium).our group of muscle's connected to vital organs start their movements in all possible direction to create warmth by expanding energy.it also may cause of fever.when body shivers our body's hypothalamus set point for temperature raised.the increased set point cause the body temperature to raise.it also makes the patient feel cold and until the new set point is reached. It is located near the wall of the third ventricle, in the posterior hypothalamus. This area is called the primary motor centrecenter, for shivering. When body temperature falls at a certain level, which below the critical temperature of the body, our sensors activated and generate the cold signals from skin and spinal chord. The anterior hypothalamus preoptic area (the heart center) gets excited from these signals. Increased muscular activity result in production of heat as a byproduct.most often when our muscles work they produce energy,but in that situation we don't want this energy so it waste for us.but during cold this energy is used to warm us.our muscles get energy from chemical energy which is obtained from our proteins.the conversion of chemical energy of ATP into kinetic energy which show as heat and movement.this method is not 100% efficient because we get movement of body too.so full energy is not converted to heat.if you like this post please comment and share this post and follow the facebook fan page. DON'T FORGET TO COMMENT AND SHARE..